Champion mare Winx has notched up her 20th Group One win with a dazzling display in the George Main Stakes at Randwick on Saturday. The world’s highest-rated horse exploded away over the final 100m to put a gap of four lengths on Le Romain on the line. Sent out at prohibitive odds of $1.10, Bowman settled Winx at the tail of the field before making a move at the 600m. While the end result was comfortable, the superstar mare had some work to do early in the straight. Bowman had to give the superstar mare a couple of digs, but she responded as she always does, racing clear of her rivals over the concluding stages. Speaking post-race, Bowman said Winx had brought her best to Randwick. “A month between runs and it was run at a strong pace, so I thought we saw the best of her today,” Bowman said. Saturday’s win makes it 27 consecutive victories for the daughter of Street Cry, who has amassed over $19.5 million in prize money. 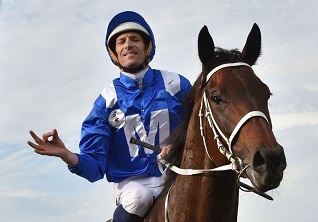 Winx is now two from two this preparation, as she builds towards a tilt at a fourth consecutive Cox Plate (2040m) at Moonee Valley on October 27.